This project included planning and land acquisition towards the future widening of the Gateway Motorway between Mt. Gravatt - Capalaba Road and the Pacific Motorway. The project also included construction works to widen Mt Gravatt-Capalaba Road between Broadwater Road and Gardner Road, across the Gateway Motorway and to realign and extend the southbound Gateway Motorway on-ramp to the Pacific Motorway. Gateway Motorway South is a 4.5 kilometre section extending from just south of the Logan Road ramps on the Gateway Motorway extension (near the Pacific Motorway) to north of the Mount Gravatt-Capalaba Road interchange. 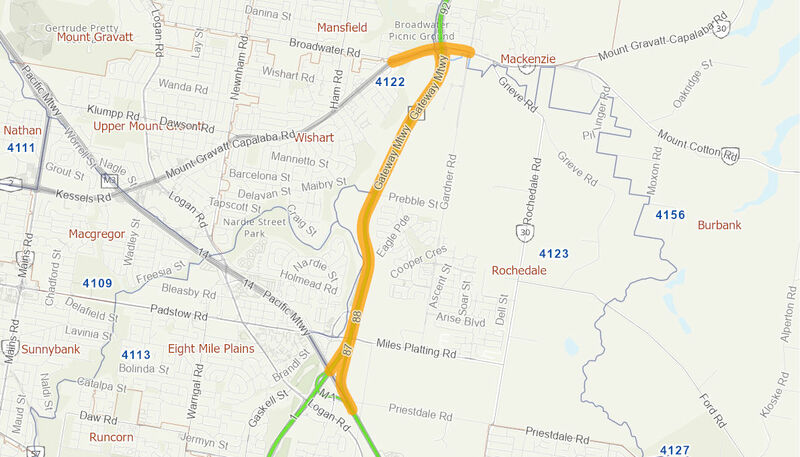 The proposed future upgrade of the Gateway Motorway South aims to improve efficiency, assist in reducing congestion and improve safety for road users. The Australian Government provided $70 million to the project, in partnership with the Queensland Government. Planning is complete, with the Business Case finalised in mid 2011. Construction commenced on the first of the works on the Pacific Motorway on-ramp in November 2012. Construction on the Mount Gravatt-Capalaba Road project commenced in early 2014 and was completed in July 2015.